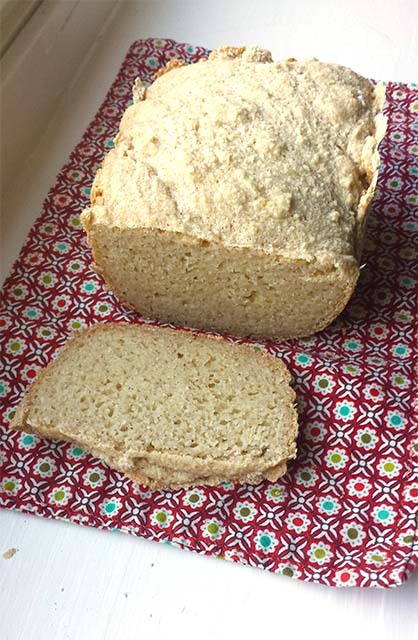 I have had a recipe for gluten free “white” bread for whipping up in my bread machine for over a year. The recipe has been reliable, and comes out great every time. The only thing I disliked about the bread recipe was that the bread came out with a slight gummy-texture. Toasting the bread fixed this issue, so that’s what I did. But…sometimes I want a sandwich without toasted bread. Or, I want to bring a sandwich for lunch – where toasting the bread on the communal toaster would be able the equivalent of sticking my head in a bag of white flour. I was content, though, until a few weeks ago when we made the Most.Amazing.Lasagna.Ever .. and wanted bread to go with it. 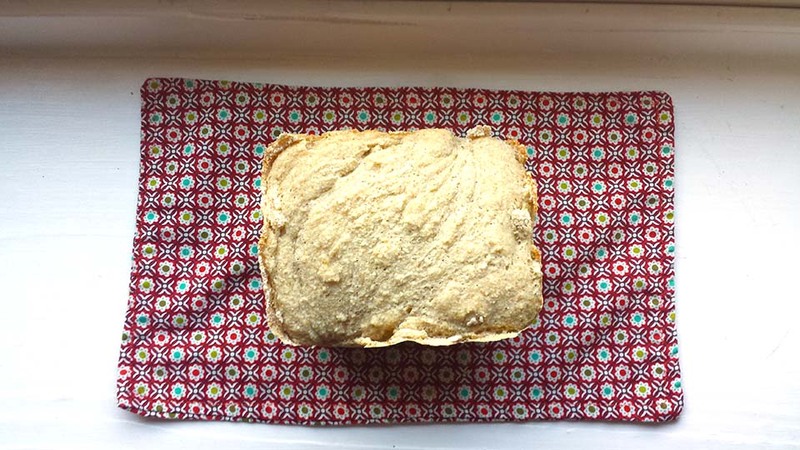 We were in a time-pinch so I picked up a store-bought loaf of gluten free bread. It was delightful, but in a “geez why does this tiny loaf cost $7.99” kind of way. So, for the past few loaves I’ve been changing things up, slowly, to see if I can combat the “gummy-ness”. …And I think I’ve done it! One difference in the recipe was that I traded out the xantham gum for Psyllium Seed Husk Powder . 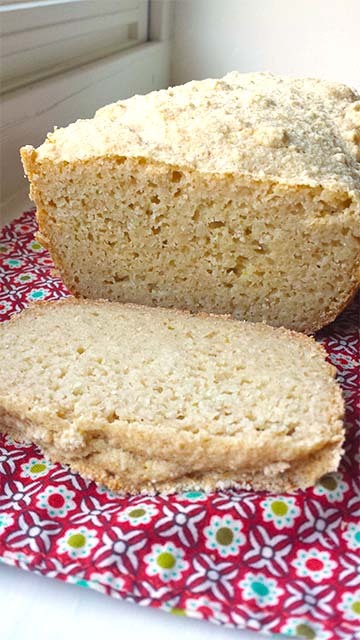 This gave the bread a much denser texture and seems to have eliminated the “gummy” factor. I found some major portion-inspiration from Queen of Quinoa’s recipe, here. It was certainly the spring board for the major overhaul of the recipe. 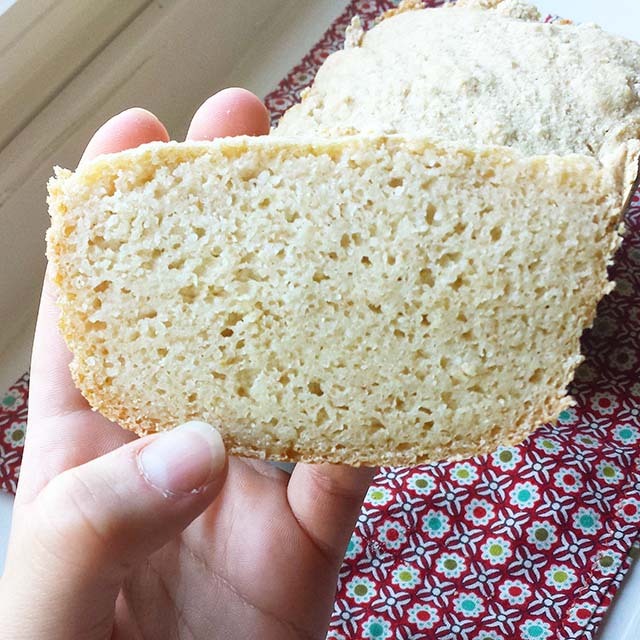 If you’ve never used chickpea flour or quinoa flour, they’re both easy to make! Here is tutorial for each: chickpea flour, quinoa flour. You can also buy both pre-made, although the cost is not really worth the tiny bit of effort it takes to make the flours yourself. You can use this bread as you would any other white bread. We like it with peanut butter and jelly, earth balance and cinnamon, to sop the plate of some awesome spaghetti or tofu scramble…really, anything. …And, the old recipe, which has different flours, is still completely yummy. It was just time for a change. Ready to make it? Remove immediately when the bread is done (it has the tendency to burn if left for a long time in the bread machine). Put on cooling rack to cool completely (out of reach of the cat) before storing in an airtight container. Will keep about 4 days, or longer if stored in the fridge. My bread machine is for a one pound loaf, which is small. You can adjust the measurements based on your bread machine's capacity. I used to include vegan butter in the recipe (2 tablespoons) but the recipe is just a good without it, so I've not been putting it in anymore. 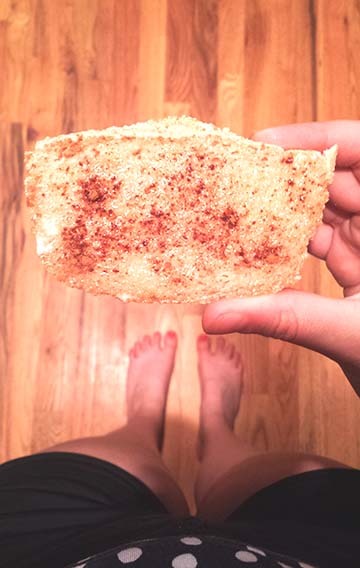 Adapted from Queen of Quinoa "High Protein Quinoa Bread"